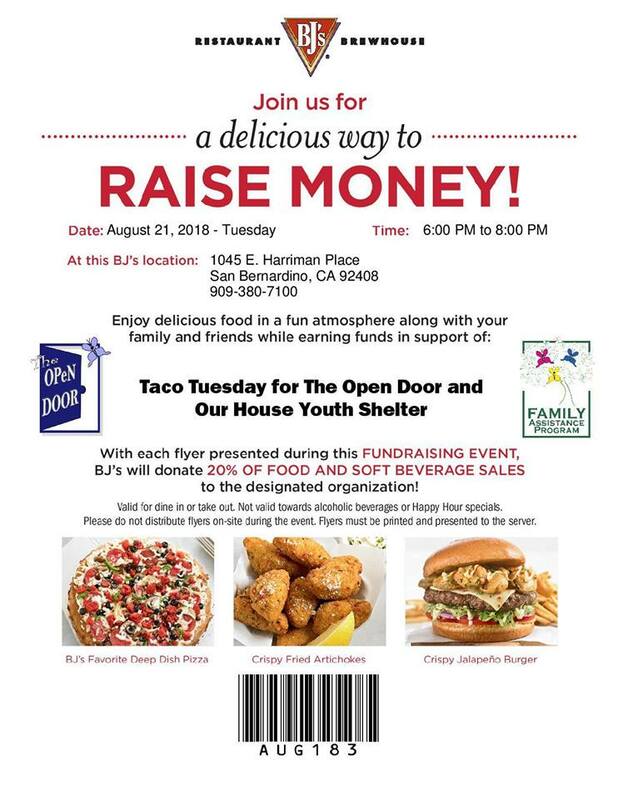 Join us on August 21st at 6 to 8pm at BJ’s Restaurant and Brew house for Taco Tuesday! It’ll be a night filled with delicious food and fun! Come out and support our program! To see the FaceBook page, click here! This entry was posted in Activities, Dinner event, Fundraising, Raise Awareness by Patrick Erlandson. Bookmark the permalink.